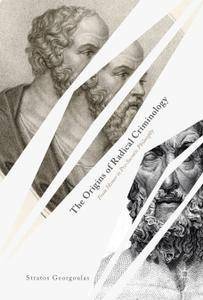 The Origins of Radical Criminology From Homer to Pre-Socratic Philosophy | Free eBooks Download - EBOOKEE! This book critically explores the development of radical criminology through a range of written Ancient Greek works including epic and lyrical poetry, drama and philosophy, across different chapters. It traces the development of political power and the concepts of law, legitimacy, crime, justice and deviance in the Ancient Greek world and the political struggles that propelled that development, using the conflict perspective as a conceptual tool of the sociological analysis of reality. Theoretical discussions of crime and justice typically stem from the better known works of Plato or Aristotle although this book explores the works preceding these. This book will appeal to those interested in the (pre)history of criminology and the historical production of criminological knowledge. No comments for "The Origins of Radical Criminology From Homer to Pre-Socratic Philosophy".